I have to admit, I was skeptical about just how “magical” Walt Disney World was going to be. But it truly is a magical place for all ages. We were only at Disney for any day since we had family obligations in Cocoa Beach consider we were so close we felt it would be a crime not to take our three-year-old, Princess-obsessed daughter to Disney World. (My daughter is referred to as Princes 1.) Since our time was limited I mapped out where better to spend the day, given her dependence on the princesses it seemed Fantasy Land within the Magic Kingdom was a good option. For as much as my child is in love with Cinderella and pretends to become her, daily, she wanted nothing to do with the real thing. And so began the drama. 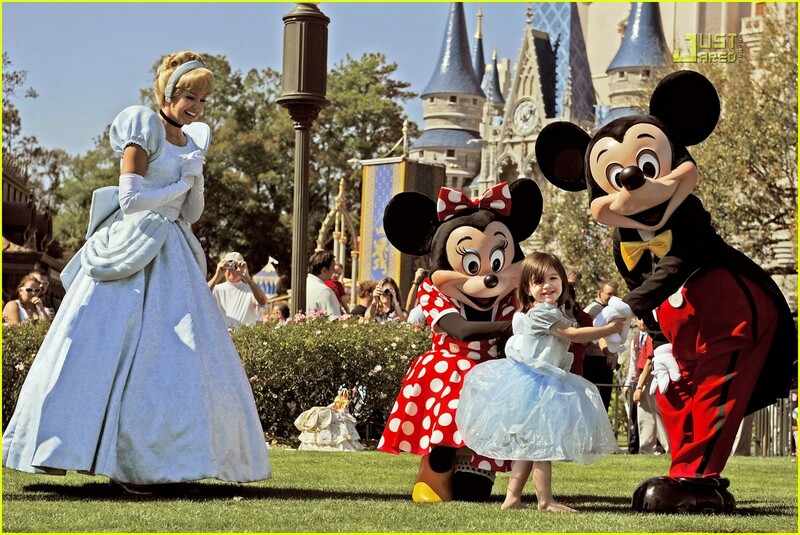 We entered the castle and Cinderella was greeting her guests and capturing with them. We patiently waited in line just to have Princess 1 meet Cinderella. If this was our turn to say hello, Princess 1 hid behind me. I had to carry her into the area and then she buried her head within my shoulder. Tears were next. I was able to salvage one photo of the “memorable” event. We were now more prepared for Princess One’s shyness, that was fine. She’s three after all and even though she loves princesses, they’re still strangers. I’m good by using it. The Husband and I just needed to laugh and roll with what was coming next because she brought it on. Princess One was eating a roll when in keeping with her nature, quite, sweet, Snow White quietly approached her from behind. The surprise of getting her favorite princess not just be standing next to her, touching her arm, talking to her sent her right into a complete panic. Tears. Screams. Seriously. Our table was THAT table. All parents knows what I’m talking about and if you don’t you’re lying. Needless to say our chat with Snow White was rather short. Used to do insist on a photo though. (I wasn’t about to waste this opportunity to embarrass Princess One later by photographing the experience.) You’ll see in the photos how Princess One did begin to warm up a bit throughout the experience. By the time Belle arrived at the table she was finally taking a look at her. I do think the princesses have been warned, or at least witnessed the Snow White encounter as they all seemed to approach with caution. Sleeping Beauty did the best job in being quick in saying hello, going for a photo and being on her way. Perfect for a terrified, yet awe inspired three-year-old little girl. Thank you. Now, being THAT table did try to our advantage. The chef had witnessed the Snow White encounter and felt so terrible he prepared a special desert for Princess One, to share with us of course. It was awesome. A white chocolate “glass” slipper filled with cake and purple icing. Delish! Overall, breakfast at Cinderella’s Royal Table was great. The food was good, the service was fabulous and the experience itself is well worth the cost. Even when your child is all about the drama. Being a parent or someone going with a child you just have to roll with what the kids are going to dish out. Otherwise, you’ll just be angry that you simply spent a lot of money for your kid to ruin it. They’ll only ruin it if you let them. Words to live by.